A complete home improvement program involves everything from your lawn and patio to your hallway living room and also the bathroom. If you have enough finances then you must have high plans to utilize your money in the maximum improvement of your house. A complete home development venture involves every area of your house and bathrooms are no exceptions in this regard. How this part of your dwelling can be improved? If you are going for a mega home upgrading, then transforming your bathroom into a spa is just the best you can do to bring major improvements. Before going for such a mega project, you need to hire the services of renowned construction company in Pakistan. Here is what you need to convert your bathroom into a home spa. Most of the people are mistaken that a bathroom with a luxurious interior is named as spa, but this is not true, a spa has its own visual appeal, which you can sense as you step in. 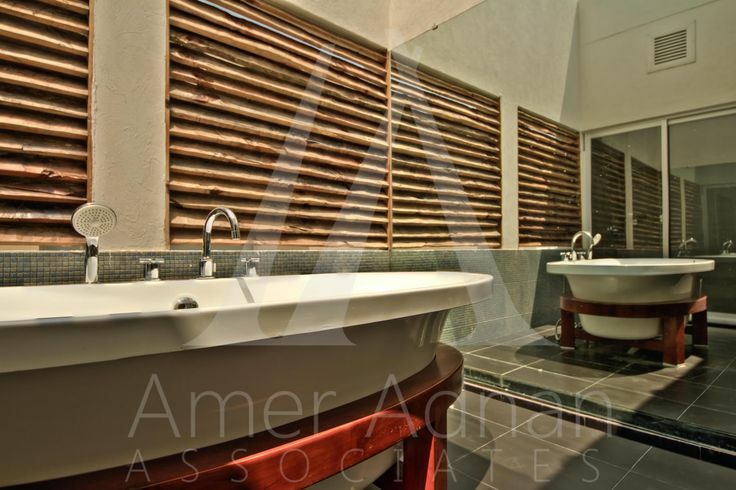 Carrying a minimalistic style, a spa gives the feel of serene and restful place. Stepping into a spa, you get the feel of a place, which is full of peace, luxury and comfort, where you can water down all your exhaustion by inhaling pleasing scents. Being in a natural environment lets you feel more relaxed and fresh; therefore, choose the paints which help creating a natural ambiance. Use different shades of blue, green, earthy and gray color, which could give you a feel of being along seaside in greenery or in a desert. If your bathroom area is smaller, then better paint it with pale green to create a spacious feel. By adding wall papers, you can transform the whole feel of your bathroom. For instance, by having wallpapers with different images like sceneries of natural environment all around the walls will create serene ambiance where you will get a feel as you are relaxing in a lake. Lighting of your spa is totally different from that of a typical bathroom because here you enjoy more of a soft vibe, with dim and relaxed lighting. Thus, choose the lighting fixtures, which can be dimmed through a dimmer; however it will require you to go for a more complicated wiring work. Dimmed light, adjusted in a specific direction to bathing tub, helps creating a quiet and comfortable feel of a luxurious spa. Stepping on a cold floor certainly takes away all the feel of comfort; therefore, making your floor warm is essential. Therefore, in a bid to make your spa’s floor more comfortable, install heating mat under the tiles, which keeps the tiles warm, making your walk to bathing tub more relax and easier. However, instead of installing heated mat, you can also spread a fluffy rug from the entry way to your bathing tub because in summers you would surely want the floor to be cold therefore; removing the rug is an easier option to transform your floor into a colder ground. Aromas or natural fragrances serve as a powerful tool to relax your mind and body. You can have natural flowers or fragrance emitting plants or leaves inside your spa. The best but a bit expensive option, is to install sandal wood corner inside your spa, where you can take long breath to freshen your mind with amazing aroma. This is how, by making all the above mentioned improvements you can transform your bathroom into a spa, where you can remove your day-long tiredness at while living at your home.